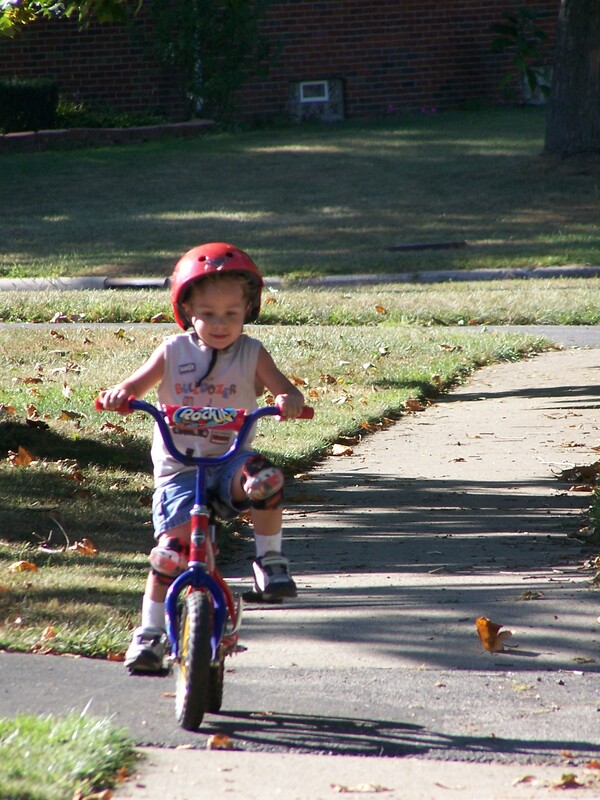 I was amazed that yesterday on Labor Day when my son just picked up his two wheel bike and decided to take off on it. He has practiced man times in the backyard riding for a few seconds and then falling. Yesterday he just did it. And kept doing it!! I was so proud of my little guy. He was all decked out in his Lightning’ McQueen gear. In that one moment I saw how much he was growing up! !